Jacob Gottlieb and his fund, Visium Asset Management, have upped their interest in Brookdale Senior Living, Inc. (NYSE:BKD) having increased their stake, according to a recent filing with the Securities and Exchange Commission. Visium has added 2.29 million shares to its previous stake, taking it to 6.31 million shares which account for 5.1% of the total number of shares outstanding. James Dinan is also optimistic about the prospects of Brookdale Senior Living, Inc. (NYSE:BKD) and has increased his fund’s holding by 25% during the fourth quarter of 2013. In its latest 13F filing, York Capital Management has reported ownership of 5.1 million shares valued at $138 million. Among the hedge funds we track that are invested in this stock, the biggest position is held by Fortress Investment Group. Its manager, Michael Novogratz, has built a position comprising 17.5 million shares reportedly worth $478 million. 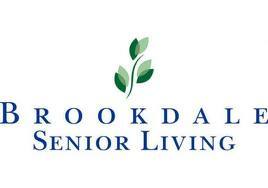 Brookdale Senior Living, Inc. (NYSE:BKD) operates senior living communities in the United States. The company has a market cap of $3.93 billion and does not pay a dividend. So far this year, the stock has advanced approximately 17% to a current price of $31.62 per share. Brookdale posted revenues of $734 million and earnings per share of $0.07 for the 2013 fourth quarter. The company is expected to register revenues of $746 million and earnings of $0.06 per share for the first quarter of 2014. The stock is mainly recommended as a Buy and a Strong Buy. In a recent move, Gottlieb has initiated a new position through the acquisition of 1.6 million shares of AMAG Pharmaceuticals Inc. (NASDAQ:AMAG). This gives Visium Asset Management ownership of 7.2% of the company’s common stock. Another two pharmaceutical stocks Gottlieb has recently added to his portfolio are NephroGenex Inc (NASDAQ:NRX) and Ignyta Inc (NASDAQ:RXDX). Visium Asset Management has reported ownership of 476,491 NephroGenex shares, or 5.4% of the common stock, and 833,300 shares of Ignyta Inc, which account for 6.2% of the total number of shares outstanding. Jacob Gottlieb, Visium Asset Management Boost Exposure to QLT Inc.